7Regal casino is a relatively new Playtech casino operated by the same Redfinger Trading Limited that also owns Winner casino and Casino Del Rio. 7Regal offers 3 welcome bonuses, so everyone can find the signup promo that suits him/her. 7Regal welcomes all new players with a welcome bonus of 300% up to €300 on your first deposit as a New 7Regal Player. You will receive your 300% new player bonus instantly, as soon as you make your first deposit at 7Regal Casino on minimum of €25. For example if you deposit €100, you get €300 free, so that you can play with €400. In order to cash out any money you must wager your bonus plus deposit at least 15 (15x) times. Games such as Blackjack and Roulette have different contribution towards completing wagering requirements. For example if you deposit €100, you get a €300 bonus and your minimum wagering will be €6000. All First Deposit Bonuses are issued only for wagering purposes and bonus funds will be deducted upon a withdrawal request. Start off with an extra €500 on your first deposit of €1000! You will receive your mid-roller bonus instantly, up to €500, as soon as you make your first deposit at 7Regal Casino. That’s 50% extra! In the interest of fair gaming, you must wager your bonus plus deposit at least 15 times (15x) prior to any withdrawal. 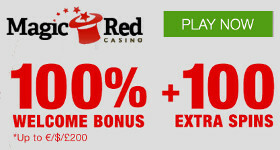 Games such as Blackjack and Roulette have different contributions towards the bonus! Please note that all first deposit bonuses are issued only for wagering purposes. If you withdraw before having reached the minimum wagering requirements, your bonus and winnings will be void. This is tailor made for high-end players, who will receive an extra €777 on their first deposit of €2000 or more! Before any cashouts you must wager your bonus and deposit amount minimum 15 times (15x). Eg. If you deposit €2000, than you need to wager €41655. Blackjack and Roulette have a different contribution towards this promo. Click Here for more details. Choose the 7Regal bonus that suits you the most!